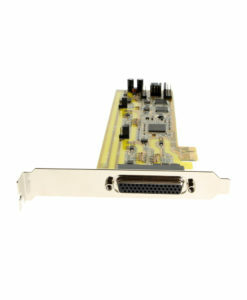 This PCI to PCIe host adapter connects from your computer system to an external expansion box source for PCI/PCIe system growth and functionality. 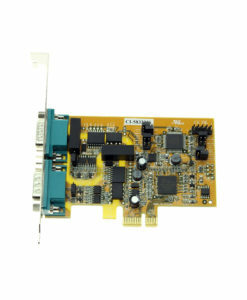 Coolgear’s PCI to PCIe host adapter over cable gives the user the unique capability of expanding outside the traditional system to an external source for PCIe functionality. 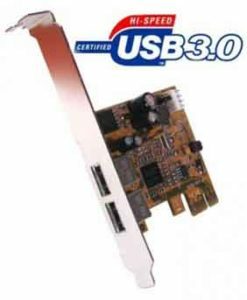 The PCI 32-bit card connects from the host adapter itself to an external expansion box and is compliant with specification revision R3.0 capable of 8 gigatransfers per second. The PCI card is also compliant with PCI Express base specification revision 1.0a having a single lane conversion data rate of 250Mbps and a transfer rate of 2.5 gigatransfers per second (GT/s). It is installed into a PCI slot without the need for a driver in all major operating systems.